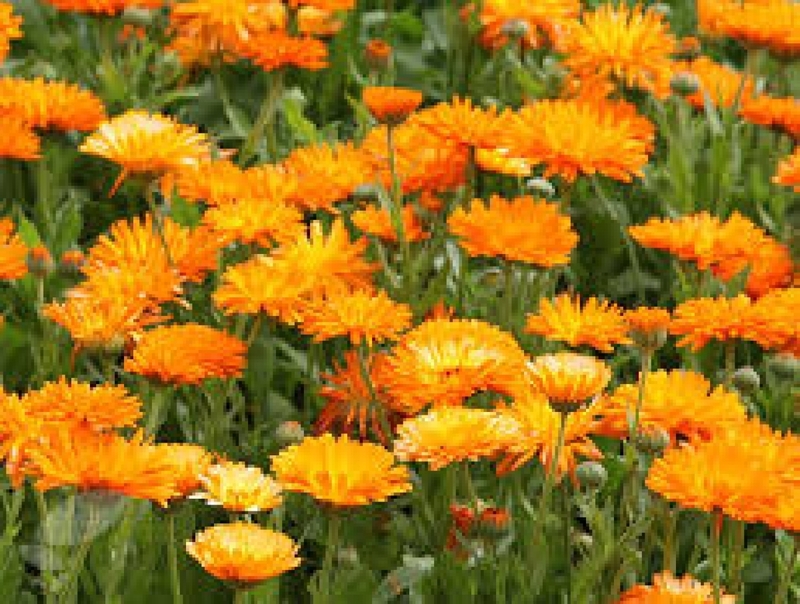 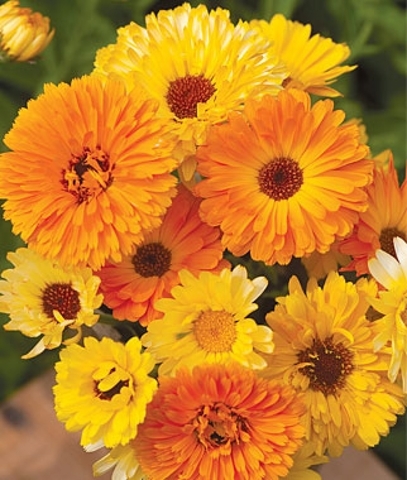 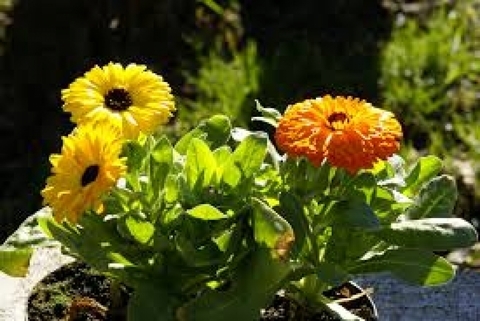 Members of the genus Calendula have daisy like flowers and come into bloom in the spring. 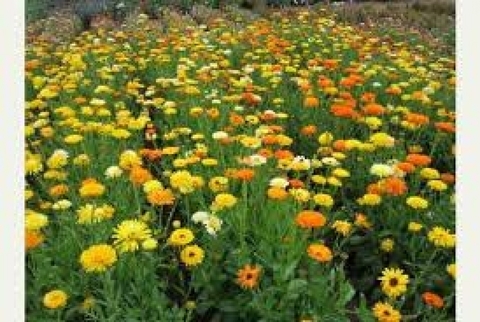 Attracts butterflies and birds that feed on seed heads. Pot marigolds bloom most of the summer, but are intolerant of intense heat.